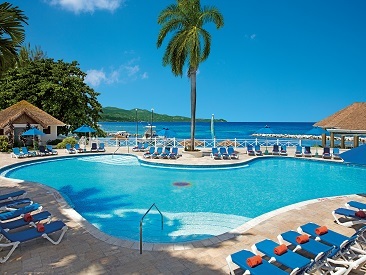 Sunscape Splash Montego Bay is an all-inclusive, family-friendly resort, located on a secluded peninsula in Montego Bay. This stunning resort offers views that overlook the Caribbean Sea along with a fun-filled stay including all of the privileges of Unlimited Fun®. 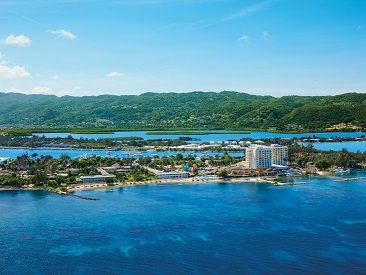 Sunscape Slash Montego Bay has fun activities for the whole family with waterslides, Pirate’s Paradise Waterpark, 24-hour access to food and beverage options, complimentary Wi-Fi in the lobby and endless land and water activities. The resort features 3 à la carte restaurants, a buffet, a grill and a café, serving a variety of cuisine and kid-friendly menus. The complimentary kids and teens clubs offer a variety supervised activities making this the ideal choice for a relaxing, fun-filled vacation. The 308 guest rooms and suites invite guests to relax featuring private, furnished balconies or terraces, views of the tropical gardens, pools or Caribbean Sea and flat-screen TVs. Sunscape Splash Montego Bay is in a perfect location, just 10 minutes from the Hip Strip, 4.5 miles from the Sangster International Airport and minutes from the Montego Bay Marine Park, Jamaica's first fully underwater national park with protected swimming areas and superb snorkeling. 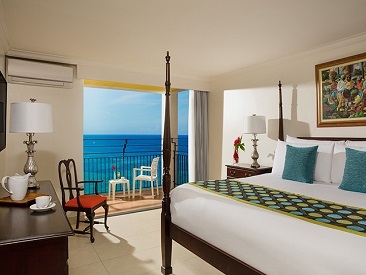 Sunscape Splash Montego Bay offers guest Unlimited Fun® for everyone including private balconies or terraces, family check-in experience, in-room kid's amenities, a variety of buffet and à la carte restaurants and no wristbands required. The in-resort Pirate's Paradise Waterpark features a full-size pirate ship and fort, a 40-foot pirate's plank bridge, a lazy river and a pair of 250-foot waterslides. Fun for the whole family! *Note: Resort coupons cannot be applied toward the following items: beauty salon services, spa product purchases, telephone charges, dolphin experiences, gift shop purchases, boutique purchases, internet service, marina services, dive shop, medical services, car rentals and travel agency services. Resort Coupons must be redeemed at the time of reservation or service. Resort Coupons do not hold any cash or commercial value, are not refundable and non-transferable. They are not applicable for tips, taxes, private functions and/or special events such as Christmas and New Years Gala dinners. Resort Coupons are not accumulative and cannot be combined with any other promotion or special offer including, but not limited to spa treatment discounts. They are only valid during the original stay and cannot be deducted upon check out. Not combinable with other promotions or special offers. Restrictions and blackout dates apply. This entire offer is based on availability and can be modified or closed out at any time. Not applicable to group bookings. Sunscape Splash will start charging guests a small fee for using WIFI in rooms and will allow a connection of a maximum of 2 devices per room or per code to the internet. WIFI will remain free and open in the Sunscape Splash Lobby.